Offering personalized activity and exercise guidance, this waterproof fitness tracker integrates continuous heart rate monitoring, advanced sleep tracking, and phone-assisted GPS. It’s your all day companion, now even more versatile. Your ultimate training buddy and keen supporter of an active lifestyle outside the gym too, Polar A370 helps you train at the right intensity and reminds you to get up and move if you stay put for too long. Tracking your activity is more than just counting steps. 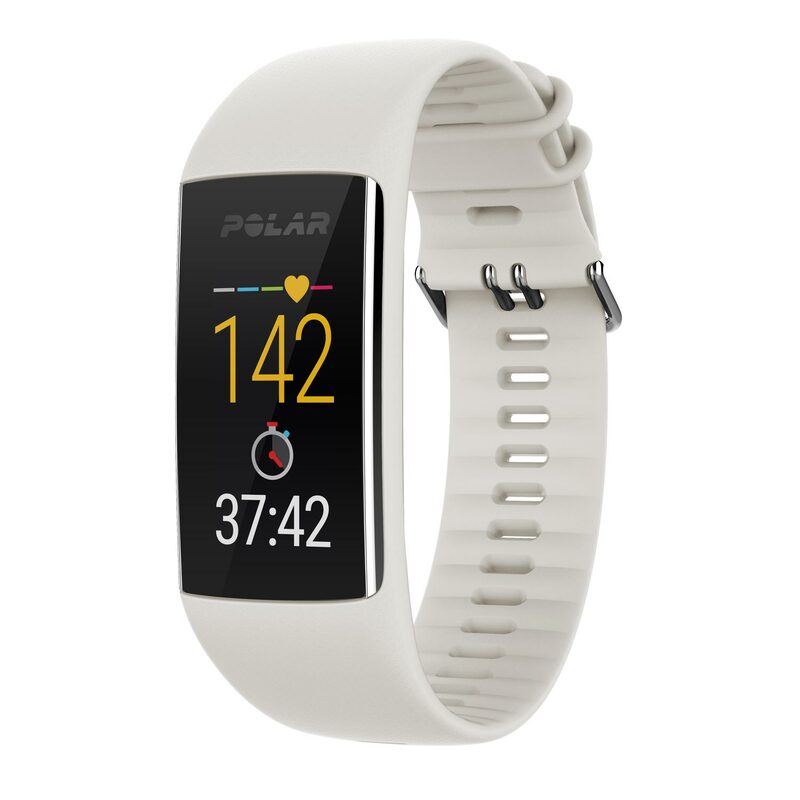 Polar A370’s wrist-based heart rate monitor tracks your heart rate 24/7, giving you a more accurate look at your daily activity and calories burned. The key to reaching any fitness goal is to exercise at the right intensity. Polar’s advanced Sleep Plus sleep analysis makes you an expert on your own sleep and helps you towards a more balanced lifestyle. 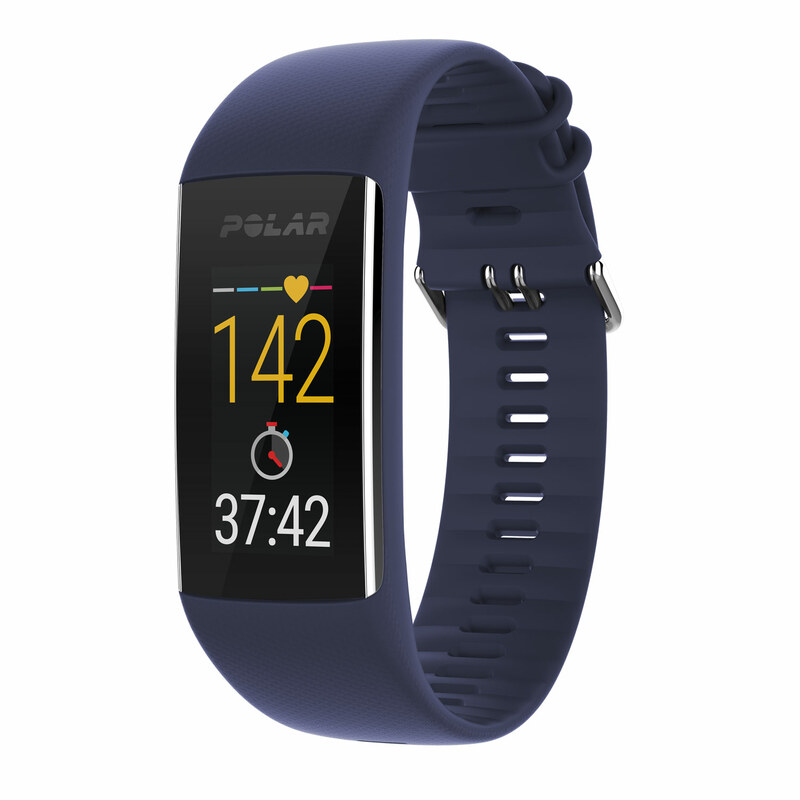 The Polar A370 features Polar’s advanced Sleep Plus system, which automatically tracks the timing, amount and quality of your sleep and detects any interruptions. When you run on the treadmill, Polar A370 tracks your speed and distance from your wrist movements. It does that outdoors as well so you don't need to carry your phone with you on your runs. You can also automatically sync your training data to other services such as MyFitnessPal or Endomondo. The training diary in Polar Flow stores and visualizes all your workouts and stats. There are 100+ sports available, including LES MILLS workouts. Plan your workouts, follow your recovery and find the balance for training and rest. Keep moving. Set your daily activity goal and the Polar A370 will motivate you towards your target. Polar Activity Guide shows you how active you’ve been and gives you practical tips on how to reach that 100%. Polar’s advanced sleep tracking technology gives you insights to your sleep. Sleep Plus provides feedback to help you achieve your best night’s sleep. Looking for motivating feedback after your workout? Polar’s Training Benefit immediately explains what type of physiological benefit you gained from your training. Join forces with your phone to get all the data you need. Using your phone’s GPS signal, the Polar A370 tracks your speed, distance and route during your favorite outdoor sports. Connect via Bluetooth Smart to see notifications from your mobile phone directly on the screen of your Polar A370. Get alerts for incoming calls, messages, emails, calendar events and more. Not a fan of running with your phone? 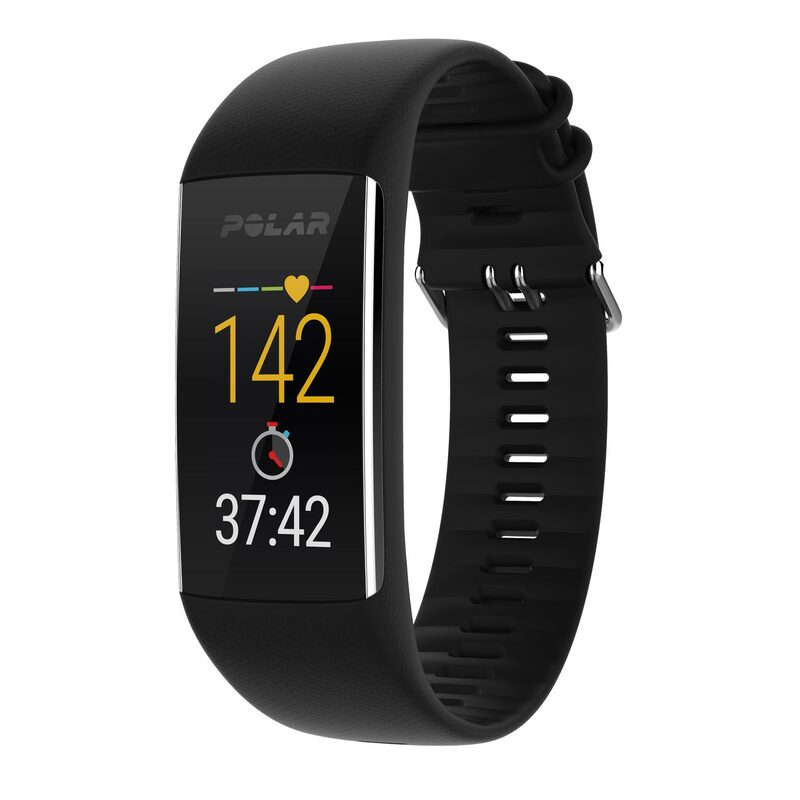 Jump on the treadmill or go for a run outdoors and the Polar A370 will track your pace and distance from the movements of your wrist. Plan your workouts in Polar Flow and sync them directly to your Polar A370 to get guidance throughout your session. You can save your favorite workouts on your Polar A370 and do them again whenever you want. Full color touch display, size 13 x 27 mm, resolution 80 x 160.